“Once things have calmed down we’ll talk about it,” said team principal Toto Wolf after the race. (After all, they had a double World Championship to celebrate first). Hamilton had clearly forced his pole-winning teammate off the track at the first corner as he came charging up the inside, but wasn’t too inclined to turn in immediately, even though others proved the grip was there. 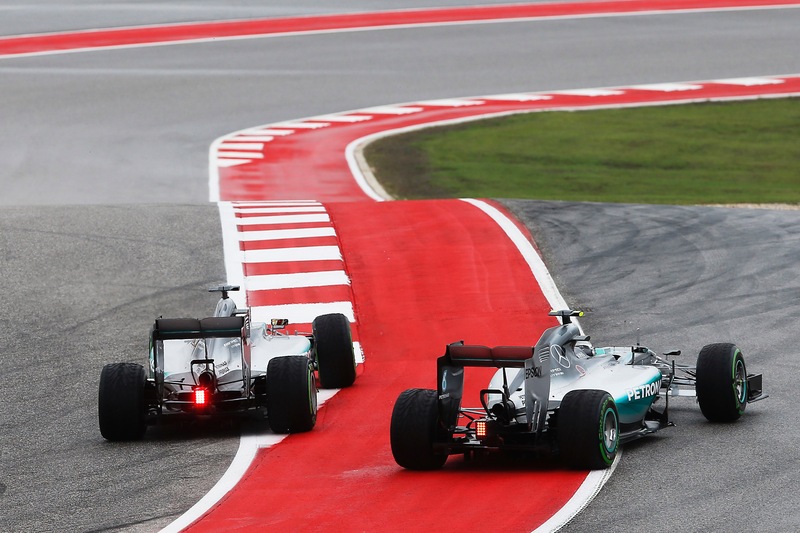 In the end, it was Rosberg’s mistake eight laps from home which cost him victory but Hamilton’s move still hurt. 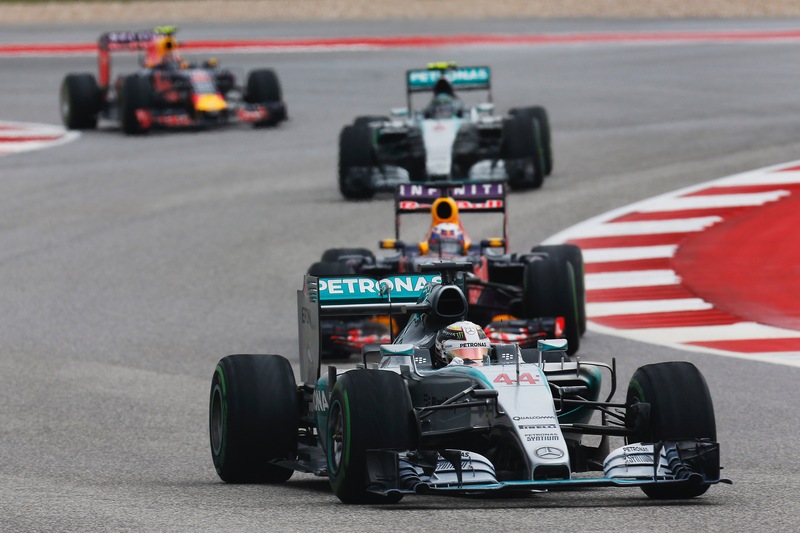 For the first twenty laps or so, we had a fantastic Mercedes versus Red Bull battle in Austin. The track was still damp, all the players were on intermediates and after the Mercedes pair had come together at the first corner, Lewis Hamilton and Nico Rosberg book-ended the Red Bulls – where Daniil Kvyat led teammate Daniel Ricciardo. The first virtual safety car kept them together, but Rosberg swooped past the two Red Bulls who were still able to hold on to them, and for a lap or two Hamilton pulled out ahead before the quartet came together again. Ricciardo made a fantastic move on Hamilton to lead (see separate story) but a few laps later they began to pit for slicks and first Rosberg overtook Ricciardo and then Hamilton and the Mercedes superiority told again. 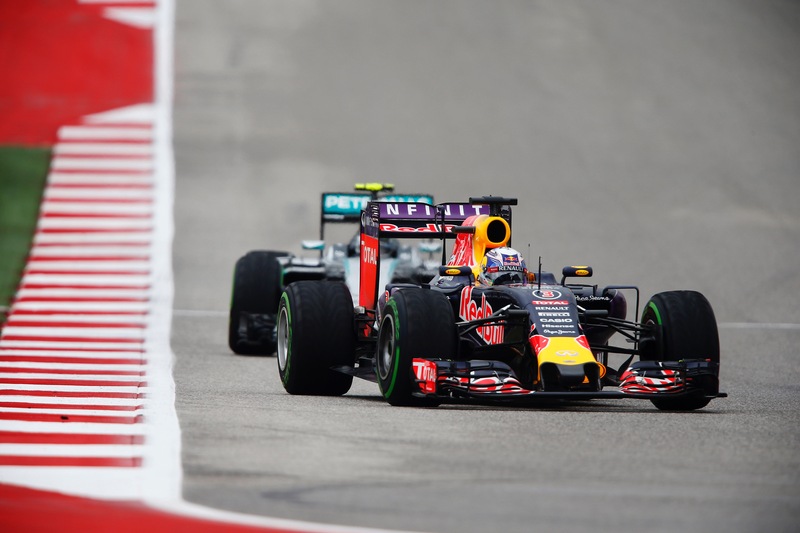 For a while, though, Red Bull proved they could take the fight to Mercedes, in the right conditions. Daniel Ricciardo predicted that on a wet track he could be a front runner, and on lap 15 he proved it. It was a brave moved around the outside of Lewis Hamilton and that doesn’t happen very often. What’s more, he then pulled away! 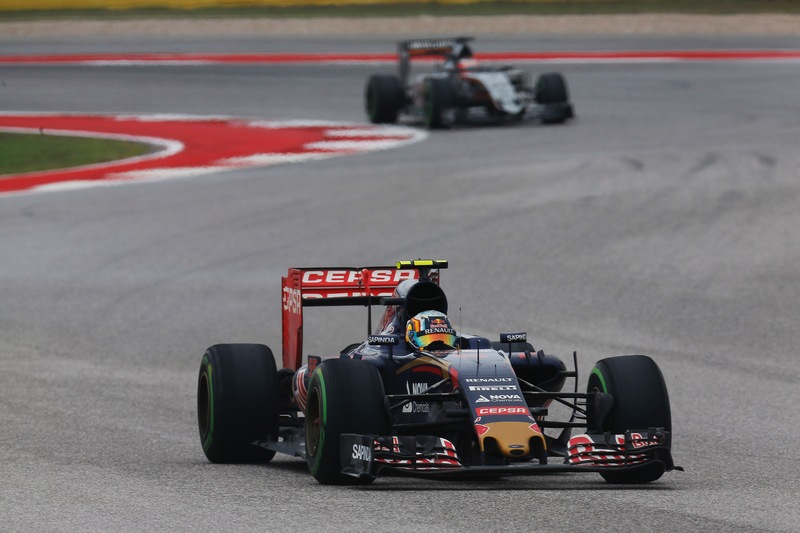 But then the track dried out, they changed onto slicks and the Red Bulls were overwhelmed. A single point for tenth place was scant reward. One has just turned 18, the other has just turned twice that but the young pretender Max Verstappen and the old master Kimi Raikkonen found themselves together on the track and it turned out to be brilliant stuff. As it was, Kimi had his own moment and hit the barrier which ultimately resulted in retirement. His young rival nearly scored his first podium, demoted by Sebastian Vettel nine laps from home. 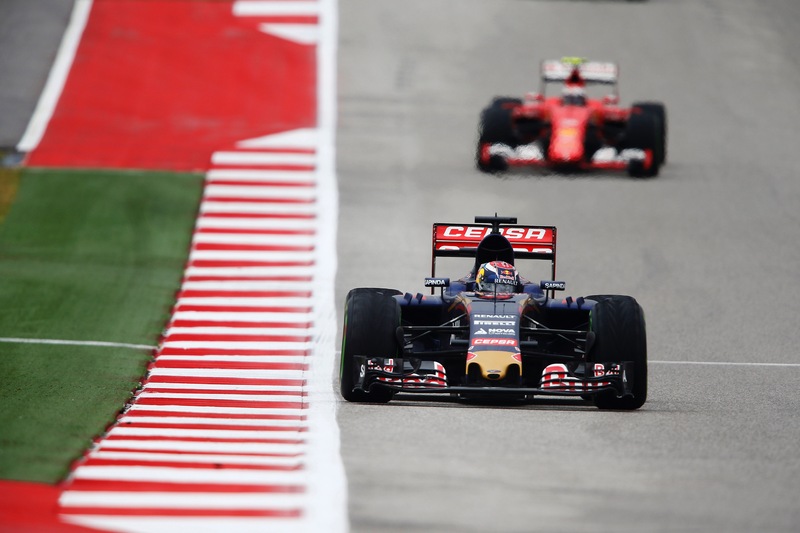 For the second race running Carlos Sainz was allowed to race having crashed and not set a competitive time in qualifying. On this occasion, it was during qualifying, before he had set a competitive lap time and in the treacherous conditions he went off the circuit and into the barrier, damaging both front corners. He would start 20th. But in the race he was magic. He was up to 11th on lap one, in sixth before a pit stop on lap 19, then running seventh for a while before a late charge overtaking Jenson Button three laps from home for sixth place again. Bob Constanduros is the on-circuit commentator at most Grands Prix worldwide. 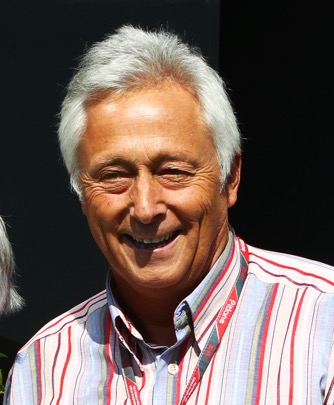 After a career in motor sport journalism dating back to the late sixties, he was officially asked to provide English language commentary at Grands Prix in the mid-eighties and hasn’t missed a Grand Prix since 1985, totalling over 550 Grands Prix. Despite his Greek name, he was born in England and lives there, not far from the Goodwood circuit where he saw his first motor sport in the fifties. He has taken an interest and worked in all forms of motor sport from karting through rallying to sports and touring cars, and has commentated at every Formula 1 Singapore Grand Prix since the race began. He has worked in all forms of media, and still works for the FIA and FOM as well as individual race promoters.